Clients can call or text any time. Your assistant is always waiting. Start taking calls in 3 clicks. Let Felix be your front line. Felix is an always-on phone number that gives you unparalled power to recieve calls or (coming soon) texts. Play messages, create interactive voice & text menus, change who receives a call based on the time and day... plus much more. Help customers & clients get to the right person quickly - no more call forwarding or missed opportunities. Felix is the perfect assistant for your calls. People can call your assistant night and day. Only calls forwarded to your cellphone cost minutes. 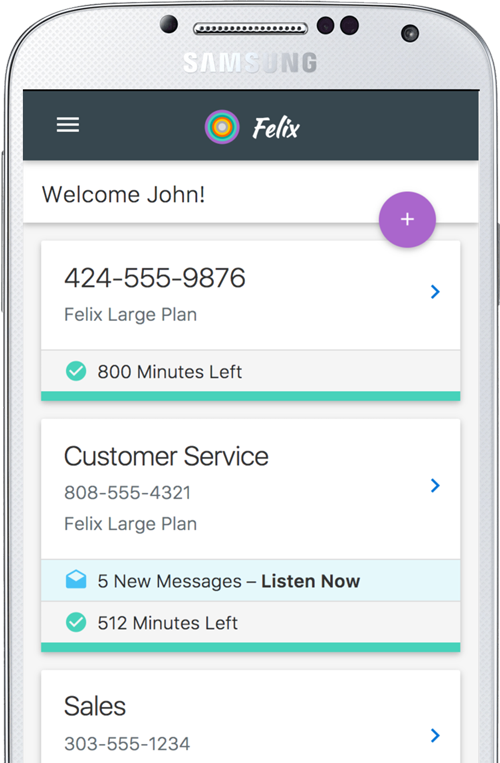 More than a simple number, Felix is an entire ecosystem of communications tools to help grow your business. Felix can engage customers as a primary point-of-contact. Record your own voice, or use the built-in Felix AI to generate a unique prompts. 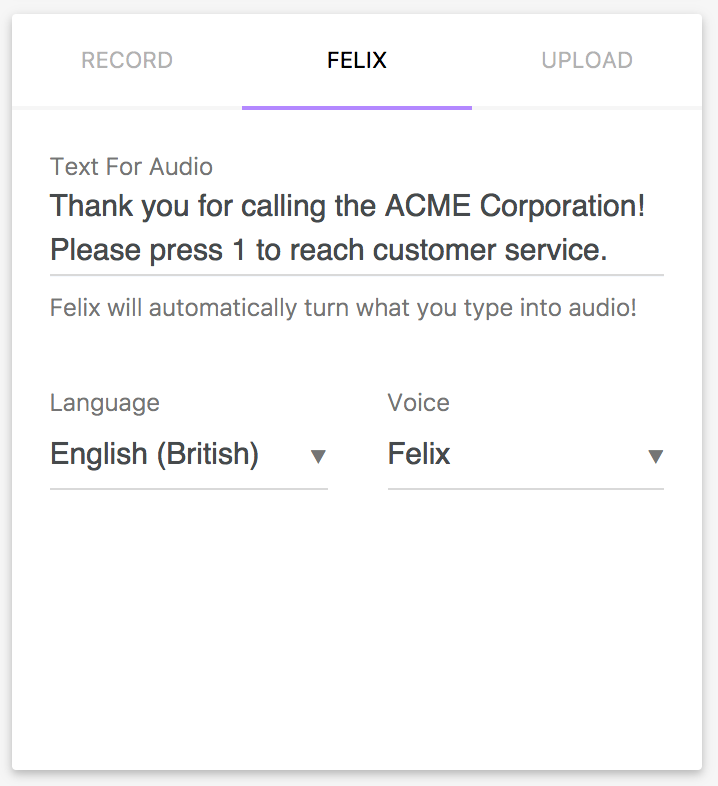 Felix is your phone assistant, built your way. Mobile professionals and businesses are quickly discovering the simplicty & power of Felix.